Adventure Sports, dba Pryde Group Americas, of Miami, Fla., is recalling about 62 units of Cabrinha H2 Hydra Series Binding in the U.S. and Canada. The binding can detach from its base while riding and lead to loss of control, which poses a risk of injury. This recall involves the standard size H2 Hydra Series Binding. The binding mounts on the twintip style kiteboards and is used to connect the rider by his feet to the board. 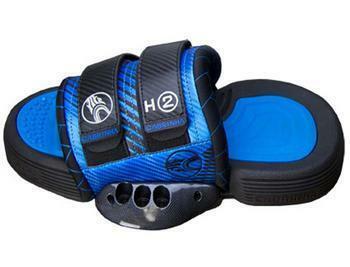 The H2 binding is blue and black, has dual adjusting straps with ‘Cabrinha’ and ‘H2’ on the footstrap, and was manufactured in June and July 2013. The H2 binding comes in two sizes: standard and small. The product code is KB4H2BDSL which is found on the retail packaging. The binding, manufactured in China, was sold at specialty watersports stores worldwide from August 2013, through December 2013, for about $180. Consumers may contact Pryde Group Americas (PGA) by calling (305) 591-3922 collect from 9:30 a.m. to 6:30 p.m. ET Monday through Friday or by e-mail at support@cabrinhakites.com. Merck is recalling one lot (lot J007354) of Gardasil HPV vaccine [Human Papillomavirus Quadrivalent (types 6, 11, 16, and 18) Vaccine, Recombinant]. The potential exists for a small number of vials to contain glass particles as a result of breakage during the manufacturing process. There were 743,360 vials in the affected lot. Merck estimates that approximately ten of those vials could have glass particles in them. Vaccines from the affected lot were distributed between August 20, 2013, and October 9, 2013. No other lots are affected. People who have recently received an HPV vaccine or their parents do not need to take any action as a result of this recall. If a vaccine containing glass particles (tiny enough to get through a needle) is given to a patient, mild reactions routinely seen after vaccination may occur (for instance, redness or swelling at the injection site). To date, no adverse events related to this lot of HPV vaccine have been reported other than these types of mild reactions. Merck says it does not expect delayed side effects to occur. If you or your child recently received HPV vaccination, there is no need to be revaccinated. The vaccine’s effectiveness is not affected by this problem. The Centers for Disease Control and Prevention notes that the HPV vaccine continues to have a strong safety record and continues to recommend that all preteen girls and boys receive three doses of the vaccine at age 11 or 12 years. Abrams Royal Pharmacy is recalling all unexpired lots of sterile products dispensed nationwide due to concerns of lack of sterility assurance. 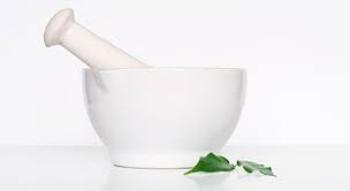 All unexpired lots of sterile compounded products are subject to the recall. Sterile products are injectable medications, IVs, eye drops, pellet implants, nasal sprays, inhalation solutions and eye ointments. All recalled products have a label that includes Abrams Royal Pharmacy’s name and phone as well as a lot number. While not every label contains an expiration date, consumers can call the pharmacy with the lot number and find out the expiration date. The recall was issued after a single, isolated report of an adverse event involving a patient in California who received a compounded medication from the pharmacy. If there is microbial contamination in products intended to be sterile, patients are at risk for serious, potentially life-threatening infections. The recalled products were distributed to health care facilities, physicians and patients from June 17, 2013, through December 17, 2013. Customers that have product which is being recalled should stop using it and contact the pharmacy to arrange for return of unused product. To return product or request assistance, consumers may contact Abrams Royal at 214-349-8000, Monday through Friday, between 9:00 a.m. and 5:00 p.m. CST. Concertos in Chocolate of Boulder, Colo., is recalling 450 solid milk chocolate Santas. 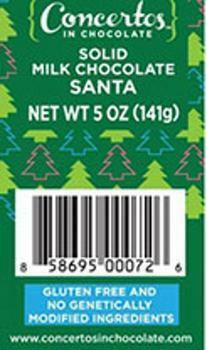 The solid milk chocolate Santas, distributed through retail stores in Colorado, New Mexico, Kansas, Utah and Idaho, are packaged is a clear, plastic bag with a green label and green bow under the Concertos in Chocolate brand. The bag is 7” tall and weighs 5 ounces. The UPC number is 85869500072. “ENJOY BY” dates on the bag range from September 1, 2014 to November 1, 2014. Consumers who have purchased Concertos in Chocolate solid milk chocolate Santas may return the product to the place of purchase for a full refund. Consumers with questions may contact Chris Widlar at (303)447-1001 Monday through Friday from 9:00am to 5:00pm. 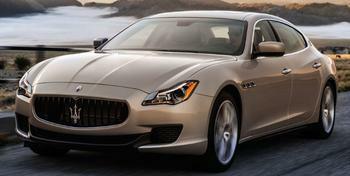 Maserati North America is recalling 63 model year 2014 Quattroporte GTS V8 vehicles. The affected vehicles have an improper Y-connection crimp in the alternator-starter motor wiring harness. The improper crimp could cause the the battery positive cable to short to ground which may cause the the wiring harness to overheat and result in a fire. The car also may stall, increasing the risk of a crash. Maserati will notify owners, and dealers will replace the alternator-starter wiring harness, free of charge. The recall is expected to begin in late December 2013. Owners may contact Maserati at 1-201-816-2600. The Yankee Candle Company of South Deerfield, Mass., is recalling about 17,000 pine berry candle rings. The candle rings’ synthetic foliage and berries are flammable, posing a fire hazard. No incidents or injures have been reported. 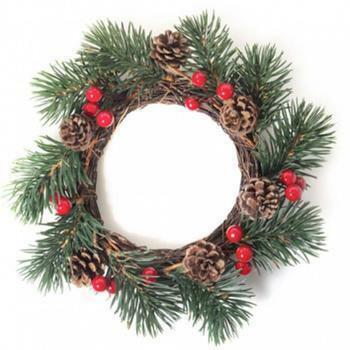 The recalled decorative pine berry candle ring goes around the base of a candle and is made of synthetic green foliage with synthetic red berries and pine cones. The ring measures about 9 to 10 inches in diameter and has an opening of about 4 to 4 1/2 inches. Candle rings with UPC number 8 86860 02558 8 or 8 86860 06357 3 on a tag attached to the underside of the ring are included in the recall. The candle rings, manufactured in China, were sold at Hallmark and Yankee Candle retail stores nationwide, Yankee Candle catalogs and online at Yankeecandle.com from September 2013, through October 2013, for between $8 and $10. Consumers should immediately stop using the candle rings and return them to the nearest Yankee Candle store for a refund, or call The Yankee Candle Company for instructions on obtaining a full refund. Consumers may contact Yankee Candle toll-free at (877) 417-2230 from 8 a.m. to 5 p.m. ET Monday through Friday. Edoche, Inc., of Seattle, Wash., is recalling about 1,100 sets of children’s spoon and fork sets. The utensil’s handle can detach, posing a choking hazard to infants. The company has received one report of the utensil’s handle detaching and a baby putting it in his/her mouth. No injuries have been reported. 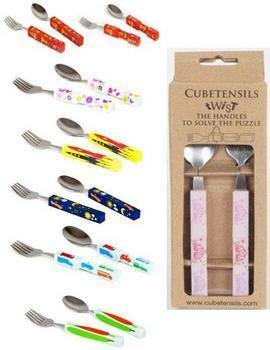 This recall involves Edoche’s Cubetensils sets of children’s eating utensils. Each set consists of a spoon and a matching fork with stainless steel heads and plastic handles. The handle has three segments that rotate to create design combinations. The utensils are 5.75-inches long and were sold in seven different models/designs: alphabet, moon and stars, nature, princess, rockets, trucks and veggies. The sets come in a brown cardboard box with a clear viewing window in the front. “Edoche” is printed on the bottom of the utensils and “Stainless Steel China” is embossed on the metal heads. The phrase “Not for children under 3” appears on the back of the product’s packaging. The utensils, manufactured in China, were sold at major retailers and specialty stores nationwide and online at Amazon.com and ebay.com from May 2012, through November 2013, for about $8 a set. Consumers may contact Edoche collect at (774) 295-0170 from 9 a.m. to 5 p.m. PT Monday through Friday or by email at info@edoche.com. 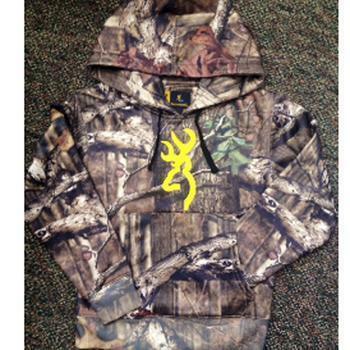 Browning of Morgan, Utah, is recalling about 4,300 Browning youth Buckmark junior hoodie sweatshirts. The hooded sweatshirts have drawstrings around the neck area that pose a strangulation or an entanglement hazard to young children. This recall includes hooded Buckmark junior sweatshirts in sizes S, M, L and XL. The sweatshirts are made of polyester fabric. The camouflaged print pullover sweatshirt comes with black drawstrings and has a yellow embroidered Buckmark logo located on the front of the garment. There are pockets located near the waist. The sweatshirt has a hood, and rib knit cuffs and waist. The SKU number is printed on a tag located behind the main label on the back of the collar. The sweatshirts, manufactureed in Bangladesh, were sold exclusively at Academy Sports + Outdoors stores and online at www.academy.com from August 2012, through October 2013, for about $28. Consumers may contact Browning at (800) 727-4312 from 8 a.m. to 4:30 p.m. MT Monday through Friday, or by email at browninghoodie@browning.com. 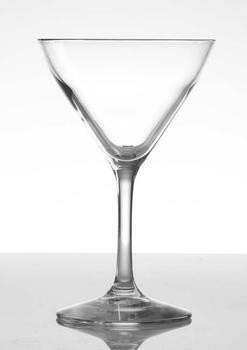 Libbey Glass of Toledo, Ohio, is recalling about 218.000 Bristol Valley cocktail glasses with sheer rim. The glasses can break unexpectedly, posing a laceration hazard. The company has received 16 reports from commercial customers of glasses breaking, including one report of a minor laceration to a restaurant patron when the glass broke during use. This recall involves Bristol Valley, model 8555SR, cocktail glasses with sheer rims. The glasses are made of clear, colorless glass in a 7.75 ounce cocktail design with a thin rim. The glasses measure about 6¼ inches high, 3¼ inches wide at the base, and 4¼ inches wide at the top. They were sold individually and in 24-piece cartons for commercial users. The glasses, manufactured in the U.S., were sold through commercial customers for use in food service establishments, at the Libbey Outlet Store in Shreveport, La., and at various independent liquor stores nationwide from January 2013, through November 2013, for between $1 and $4 per glass. Consumers should immediately stop using the recalled glasses and return them to the store where purchased for a refund. Commercial customers should contact Libbey Glass to arrange for destruction of the product and receipt of a credit, refund or replacement. Consumers may contact Libbey Glass at (800) 982-7063 between 8 a.m. and 5 p.m. ET Monday through Friday. Blooming Import of Brooklyn, N.Y., is recalling Farmer Brand Dried Lily Flowers because they contain undeclared sulfites. The company says igt has received no reports of illness to date. The recalled product comes in 8-oz clear plastic bags with the UPC Code 734765040895. The product, which is imported from China, was sold nationwide. The recall was initiated after a routine sampling by NYS Department of Agriculature and Markets Food Inspectors and subsequent analysis of the product by Food Laboratory personnel revealed the presence of sulfites in packages of Farmer Brand Dried Lily Flowers which did not declare sulfites on the label. The Consumption of 10 milligrams of sulfites per serving has been reported to elicit severe reactions in some asthmatics. Consumers who have purchased Farmer Brand Dried Lily Flowers should return it to the place of purchase for a full refund. Consumers with questions may call 718-625-6868. Megabusiness LLC of Danbury, Conn., is recalling Del Campo Papa seca / DRY POTATO it contains sulfites, which are not declared on the label. People who have a severe sensitivity to sulfites run the risk of serious or life-threatening reactions if they consume these products. The company says no illnesses have been reported to date. 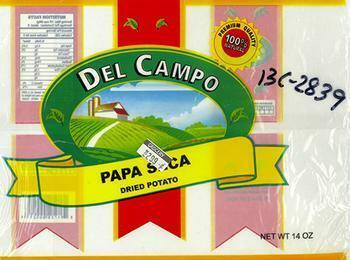 Del Campo Papa Seca / DRY Potato is packed in a 14-oz. plastic bag and sold in a case of 24 bags. The UPC code is 891726000218 and the expiration date is June 2014. The product was distributed in New York, New Jersey, Connecticut and Illinois through retail stores. Consumers with questions may contact Megabusiness LLC at 203-798-0328. 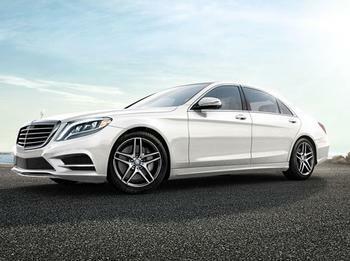 Mercedes-Benz USA is recalling 290 model year 2014 S550 vehicles manufactured April 11, 2013, through October 14, 2013. In the affected vehicles, the front seat belt anchor might not be installed correctly allowing it to come loose in a crash. If the seat belt anchor comes loose, in the event of a crash, the occupant may not be properly secured, increasing the risk of injury. Mercedes-Benz will notify owners, and dealers will inspect and correct the front seat belt anchor fitting, as necessary, free of charge. The recall is expected to begin in December 2013. 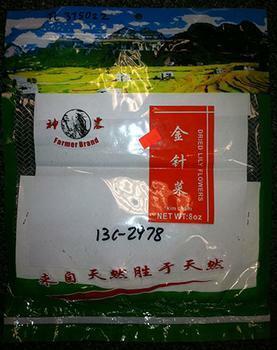 Bee International of Chula Vista, Calif., is recalling 2-oz. packages of “Candy Sweet Spots." The product may contain egg protein, an allergen not declared on the label. A child who is allergic to eggs, wheat, and milk had what appeared to be an allergic reaction. The recalled product, which was distributed nationwide in retail stores and through food distributors, comes in a 2-oz clear plastic package marked with lot code 2158613 on the back and bearing the UPC 0-73563-00471-6. The product consists of small drops of candy on a backing paper that are peeled off and consumed. 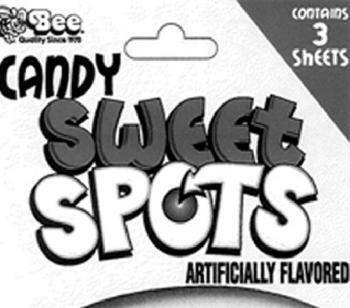 Consumers who have purchased 2-oz packages of "Candy Sweet Spots" with lot code 2158613 are urged to return them to the place of purchase for a full refund. Consumers with questions may contact the company at 1-800-421-6465, Monday-Friday from 7:30am-4:00pm, PST. Wahl Clipper Corp. of Sterling, Ill., is recalling about 720,000 containers of Total Care, aerosol cleaner, lubricant & coolant. Vapors from the propellant in the Total Care product can ignite upon contact with hair clippers, posing a burn hazard to consumers. The company has received three reports of incidents of the product igniting, including one report of minor burns. This recall involves Wahl Total Care products used to clean and lubricate hair clippers, trimmers and shavers. The product was sold in six ounce aerosol cans. The white label on the can reads “Wahl Total Care” and “Clipper, Trimmer, Shaver.” Model number 03772 is printed on the back of the can. The recalled product, manufactured in the U.S., was sold at Meijer, Walmart and other retail stores nationwide and online at Amazon.com from June 2009, to October 2013, for about $5. Consumers should immediately stop using the Total Care product and contact Wahl for a replacement. Consumers may contact Wahl at (800) 767-9245 from 8 a.m. to 4:30 p.m. CT Monday through Friday. 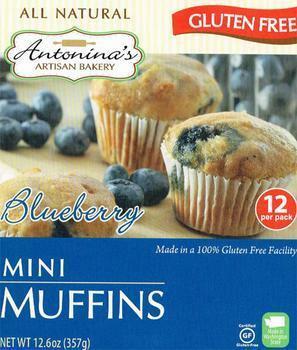 Pin Hsiao & Associates of Bellevue, Wash., is recalling the Gluten Free Blueberry Mini Muffins – 12-pack. No illnesses or customer complaints have been reported to date. The recalled product was distributed in Washington and Oregon through retail grocery stores. People who are allergic to walnuts should not consume this product and may either destroy, or return to the place of purchase for a full refund. Consumers with questions may contact the company at 1-425-635-3357 from 8:00am – 5:00pm PST. Mirage Fashions of N.Y. is recalling about 768 Yoki Girls faux leather jackets. This recall involves girl’s hooded faux leather jackets with a zipper front closure and bearing a Yoki Girls label at the neck. They were sold in girl’s sizes 7 through 16. 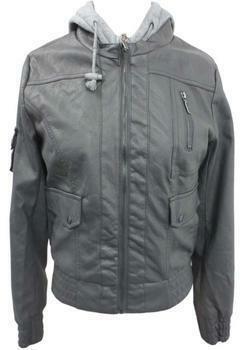 The jacket comes in black or charcoal, with drawstrings through the neck area. The coats have snap button pockets on each side and a zippered pocket on the top left chest area. Both the black and charcoal colored jackets have a grey hood. Style number JK2503G is on the product care label located on the lower left inside seam. The jackets, manufactured in China, were sold exclusively at Burlington Coat Factory stores nationwide January 2012, through August 2013, for about $20. Consumers should immediately remove the drawstrings from the garment to eliminate the hazard or return the garment to Mirage Fashions for a full refund.Consumers may contact Mirage Fashions toll-free at (855) 221-5888 from 9:00 a.m. to 3:00 p.m. ET Monday through Friday. Blooming Import of Brooklyn, N.Y., is recalling Golden Lion Brand Dried Ziziphus Jujuba Mill (Dried Dates) because they contain undeclared sulfites. The consumption of 10 milligrams of sulfites per serving has been reported to elicit severe reactions in some asthmatics. No illnesses have been reported to date in connection with this recall. 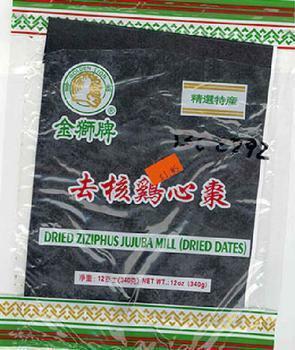 The recalled Golden Lion Brand Dried Ziziphus Jujuba Mill (Dried Dates), a product of China, comes in 12-oz clear plastic bags with the UPC Code 734765040086. The product was sold nationwide. The consumption of 10 milligrams of sulfites per serving has been reported to elicit severe reactions in some asthmatics. Consumers with questions may contact the company at 718-625-6868, Kent Tan, Blooming Import Inc. Seasonal Specialties of Eden Prairie, Minn., is recalling about 1,800 pre-lit artificial Christmas trees. The electrical components of the tree’s light strings can overheat and melt, posing fire, burn, and shock hazards to consumers. Two reports of the tree’s light strings overheating, melting or smoking have been received. No injuries have been reported. 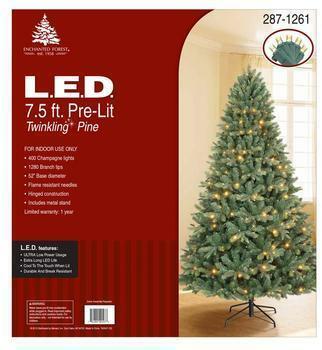 This recall involves the Twinkling Pine pre-lit artificial Christmas trees sold under the Enchanted Forrest brand. The Christmas trees are green and stand 7 ½ feet tall. They have 400 champagne-colored, slow-twinkling LED lights and a green metal stand. The recalled model number 287-1261 and UPC code 741895425478 are printed on the retail box and on a red tag attached to a tree branch. The trees, manufactured in China, were sold exclusively at Menards stores nationwide and online at www.menards.com from September 2013 through November 2013 for about $300. Consumers should immediately unplug and stop using the Christmas tree and return it to Menards for a refund. Consumers may contact Seasonal Specialties at (800) 353-3116 from 10 a.m. to 6 p.m. ET Monday through Friday. Whole Foods Market Mid-Atlantic region is recalling an organic creamy spinach dip because it contains eggs, an undeclared allergen. The recalled spinach dip was sold with a Whole Foods Market scale label reading “organic creamy spinach dip” with a UPC of <0 00000 30901 1> in 12-ounce plastic containers with a “use by” date on or before 12/10/13, which is noted on the scale label. 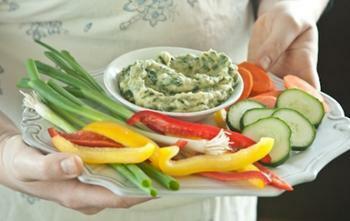 The spinach dip was distributed to Whole Foods Market stores in Kentucky, Maryland, Pennsylvania, Ohio, Virginia, Washington, D.C., and New Jersey (Princeton and Marlton stores only). Whole Foods stores that carried the product have posted signs notifying customers of this recall. Customers who have purchased this product should discard it, and may bring in their receipt for a full refund. 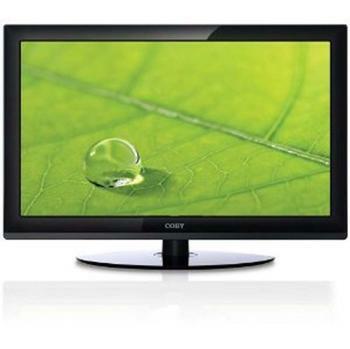 Eight U.S. retailers have taken the unusual step of recalling about 8,900 flat screen TVs made by a company that has gone out of business. Shaw Industries of Dalton, Ga., is recalling about 16,300 yards of Aristocrat II carpet. The carpet fails to meet federal flammability standards, posing a fire hazard to consumers. The recall involves Aristocrat II brand wall-to-wall carpet with style number 7L514. The carpet was sold in one color, “Pale Clay.” A date stamp on the back of the carpet reads “USA 760 MEA 52545,” the date “06-07-2013,” a time range between 00:45 and 3:00 and the words “Pile: 100% Polyester.” The stamp is repeated every six feet. The carpet, manufactured in the U.S., was sold exclusively at Lowe’s stores nationwide between June 2013, and September 2013, for about $1 a square foot. Consumers should immediately contact Shaw Industries to determine if their carpet is included in the recall and for instructions on returning the product for refund or replacement. Consumers may contact Shaw Industries at (800) 241-4031 from 9 a.m. to 5 p.m. ET Monday through Friday. 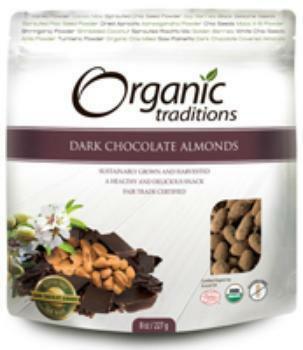 Health Matters America of Cheektowaga, New York is recalling specific lots of Organic Traditions dark chocolate hazelnuts, Organic Traditions dark chocolate hazelnuts with chili, Organic Traditions dark chocolate almonds and Organic Traditions dark chocolate almonds with chili. The chocolates contain milk, an allergen not declared on the label. The recalled products were distributed through retail stores in Arizona, California, Colorado, District of Columbia, Florida, Georgia, Illinois, Indiana, Kansas, Louisiana, Maryland, North Carolina, New York, New Jersey, New Mexico, Nevada, Ohio, Pennsylvania, Tennessee, Texas, Utah and Virginia. Organic Traditions dark chocolate hazelnuts with chili Lot numbers 40.12, 16.13; NET WT. 3.5 oz. UPC 8 54260 01550 8, and NET WT. 8 oz. UPC 8 54260 00707 7. The products were also distributed in cartons containing 2 x 12 lbs. bulk bags (totaling 24 lbs.). Consumers who have purchased the products listed above may them to return the product to the place of purchase for a full refund. Consumers with questions may contact the company at 1-888-343-3278, Monday – Friday, 9 am – 5 pm ET. The Consumer Product Safety Commission (CPSC) and IKEA North America, of Conshohocken, Pa., are recalling for repair of children’s wall-mounted lamps due to a strangulation hazard. A 16-month-old child in a crib died after getting entangled in the lamp’s cord. In a separate incident, a 15-month-old child in a crib became entangled in the lamp’s cord and nearly strangled. In both incidents, which occurred in Europe, the lamp cord was pulled into the crib by the infants. Nearly 3 million of the recalled lamps were sold in the U.S., and another 1.1 million were sold in Canada. A total of 23 million lamps have been sold worldwide. The blue star is the STJÄRNA model with article numbers 501.944.49 or 500.108.79. The yellow moon is the MÅNE model with article numbers 701.944.48 or 700.108.40. 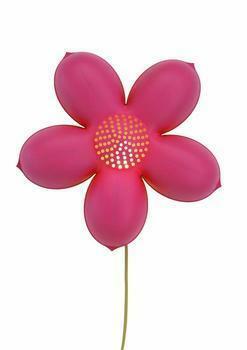 The pink flower is the BLOMMA model with article numbers 901.944.47 or 000.979.50. The white flower is the BLOMMA model with article number 300-746-50. The red heart is the HJÄRTA model with article numbers 202.256.59 or 801.993.13. The green bug is the BAGGE model with article numbers 101.944.46 or 700.728.71. The blue seashell is the SNÄCKA model with article number 400-982-50. The orange seahorse is the SJÖHÄST model with article number 900-982-43. The model name is printed on a label on the inside back of the lamp near the light bulb. The article number is printed on the lamp’s packaging. The plastic wall-mounted children’s lamps measure about 11 inches high by 11 inches wide. They have a 7 ft. long electrical cord with an in-line switch and take a 25-watt light bulb. They lamps, made in the United States, Lithuania and China, were sold exclusively at IKEA stores nationwide, in IKEA’s catalog and online at ikea-usa.com from July 1999, through May 2013, for between $10 and $13. Consumers should immediately stop using the recalled lamp and contact IKEA for a free repair kit. Do not use the lamp until the repair kit is installed. The repair kit has self-adhesive fasteners for attaching the lamp’s cord to the wall as well as safety instructions. Contact IKEA toll-free at (888) 966-4532 anytime or online at www.ikea-usa.com and click on the “Recall” link at the top of the page for more information. 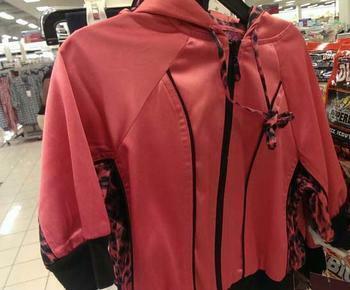 Ram’s Imports of New York, N.Y., is recalling about 756 IQ girls’ hooded pink leopard jackets. This recall involves girls pink hooded jackets. The jacket is 97 % cotton 3% spandex, and has pink and black leopard print drawstrings and pink and black leopard print on the sides of the jacket. "IQ girls" is printed on the sewn-in label located on the back of the neck. 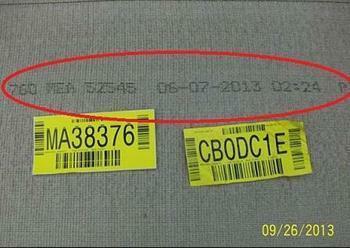 The model number included in the recall is 86557 and can be found printed on a sewn in label in the back of the neck. This recall involves jacket sizes girls 4 through 12. The jackets, manufactured in Indonesia, were sold exclusively at Burlington Coat Factory stores nationwide October 2010, through August 2013, for about $15. Consumers should immediately remove the drawstrings from the garment to eliminate the hazard or return the garment to Ram’s Imports Inc. for a full refund. Consumers may contact Ram’s Imports toll-free at (855) 346-5950 between 10 a.m. and 5 p.m. ET Monday through Friday. 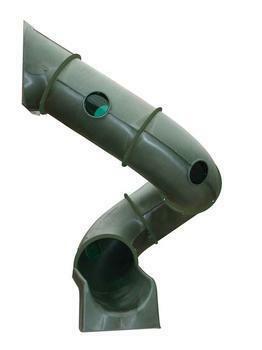 Solowave Design Corp., of Hamburg, N.Y., is recalling aboput 20,700 Tornado brand home playground tube slides with port holes. The plastic port hole-type windows in the tube slide can break, posing a laceration hazard to children. The company has received 23 reports of minor injuries to children, including cuts and scrapes, from contact with broken port holes. This recall involves Solowave Tornado brand home playground tube slides with port holes. The slides are green, six or seven feet long and have three or five port hole-style plastic windows in the sides. The slides were sold with Solowave’s Centennial, Centennial II, Lexington, Rocky Mountain Deluxe and Sheridan play systems and were also sold separately. Solowave Design is stamped on the outside of the slides near the middle of each tube slide section. The tube slides, manufactured in Canada, were sold at Toys R Us and other stores nationwide, and online at toysrus.com from February 2008, through August 2013, for between $1,300 and $1,800 as part of a play system, or between $275 and $370 for the slide only. Consumers should stop using the recalled slide immediately and contact Solowave to receive a free repair kit for the port hole windows. Consumers may contact Solowave toll-free at (866) 678-0376 between 9 a.m. and 5 p.m. ET Monday through Friday. PackTite of Ft. Collins, Colo., is recalling about 9,000 heating units for bed bug control. The bed bug heaters can overheat, melt and cause a fire, posing a fire hazard. The company has received three consumer complaints of heaters overheating, melting and -- in one case -- the items being treated were singed. No injuries have been reported. 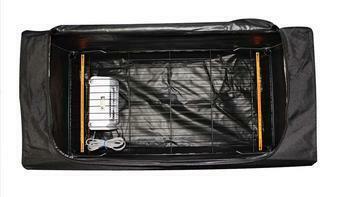 This recall involves PackTite bed bug heating units sold with PackTite original bed bug treatment systems. Consumers place items for bed bug treatment inside PackTite’s black canvas bag and turn the heater on inside the bag. The white heaters are attached to a black wire frame that fits in the bag. PackTite is printed in white on the bag. The bags measure 36 inches long by 19 inches wide by 24 inches tall. The recalled heaters do not have any visible text on the up-facing side of the heater casing, but they do have reset instructions on the underside of the heater. The heaters, manufactured in the U.S,. were sold at pest control companies and pest control product distributors nationwide, including Atlantic Pest Solutions, Bedbug Central, Bedbug Supply, Broadway Exterminating, Dana Pest Control, Do My Own Pest Control, Grainger, M&M Environmental Isotech, K-9 Sweeps, Orkin, Pestaway, Round-the-Clock Pest Control, Steritech, Stern Environmental, Tallman Scientific, Univar and US Bedbugs from October 2009, through January 2013, for between $300 and $330 for the system and $53 for the heater when sold separately. Consumers may contact PackTite toll-free at (866) 520-7952 from 8 a.m. to 8 p.m. MT, or by email at recall@packtite.com. Emak USA of Wooster, Ohio, is recalling about 1,566 efco brand gas trimmers in the U.S. and Canada. The muffler on the trimmer’s engine can break during use and pose a fire hazard. The firm has received eight reports of incidents, including one resulting in singed hair. No serious injury or property damage have been reported. 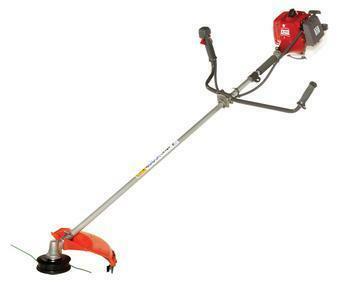 The trimmers are used in both residential and professional applications for cutting grass and light brush. The cutting attachments include a trimmer head and metal blade. The trimmers are about 72 inches long and are red and gray with either a bike or loop handle configuration. Three models are recalled in two engine sizes measured in cubic centimeters. They are: 36cc models 8371 S and 8371 T, and a 40.2cc model 8421 T engine displacement. The brand name “efco” and model number are printed on the front of the engine and the brand name also appears on the wand. The trimmers, manufactured in China, were sold at authorized efco dealers at both retail stores and online, and Menards stores between June 2009, and July 2013, for about $400. Consumers should stop using the recalled trimmers immediately and return them to an authorized efco dealer for a free muffler replacement kit. Consumers may contact Emak USA at (800) 800-4420 Monday through Friday from 8 a.m. to 5 p.m. ET. Linear LLC, of Carlsbad, Calif., is recalling about 48,000 personal mergency reporting system (PERS) transmitters. The battery clips in the transmitters can corrode causing the transmitters to operate intermittently or not at all, without generating a warning. The company has received one report of a transmitter that failed to operate. No injuries have been reported. The recalled Linear PERS transmitters are components of Linear PERS products and allow users to push a button on the transmitter to summon assistance. Transmitter models DXS-LRC, DXS-LRC-LA, DXS-LRP and DXS-LRW manufactured from June 2013 to July 2013 with date codes 1306 and 1307 representing the year and month, and 1329 (representing the 29th week of 2013) are included in the recall. The model and date codes appear on the back of the transmitter. 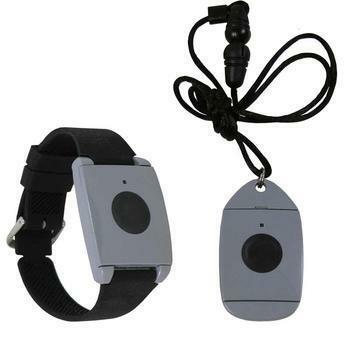 The DXS-LRC transmitters are gray plastic pendants with a black circle in the center and can be worn as a pendant around the neck or on a wristband. The DXS-LRP transmitter is a white pendant with a green swirl design on the front. The DXS-LRW transmitter has a solid black wristband with a black plastic face and black button in the center. The transmitters, manufactured in China, were sold at Independent PERS distributors and dealers nationwide from June 2013 through August 2013 for about $45. Consumers should immediately contact Linear to receive a free replacement transmitter. Consumers may contact Linear toll-free at (855) 554-2384 from 11 a.m. to 7:30 p.m. ET Monday through Friday. A disturbing new study suggests that high chairs can be far more hazardous to a child’s health than anyone previously suspected. According to Dr. Gary Smith, director of the Center for Injury Research and Policy and Nationwide Children’s Hospital in Columbus, Ohio, an average of one child per hour is treated for high-chair related head injuries, somewhere in America, a 90 percent increase over the last eight years. Smith published his results in a study appearing in the latest issue of Clinical Pediatrics. He spoke to Consumer Affairs and gave us a thumbnail version of his findings. Infants or toddlers who fall from high chairs tend to suffer much worse injuries than older kids or adults who have similar falls, for three reasons: one, young children have relatively large heads compared to their bodies, which gives them a much higher center of gravity than older people. “One reason we’re concerned is that children in high chairs, falling from an elevated height, typically fall head-first,” Smith said. Also, their arms generally aren’t strong enough to break their fall, so they’re vastly more likely to land directly on their heads. Finally, high chairs are most commonly used in kitchens, which tend to have much harder floors than other, carpeted, rooms in the house. You should also consider what sort of restraint system a high chair has. 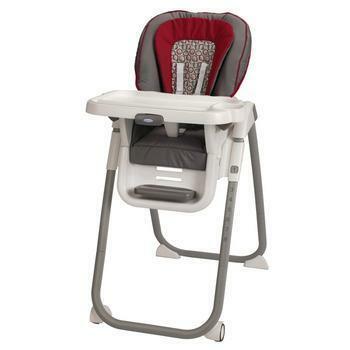 Most high chairs use either three-point or five-point restraints. “Five points is better, but that doesn’t mean three points are unsafe,” said Smith. Also, some high chairs are equipped with a bar that fits beneath the tray and between the child’s legs, to prevent the child from squirming out beneath the tray. And, of course, children in high chairs must never be left unsupervised. Harley-Davidson is recalling 19,957 model year 2014 FLHTCU, FLHTK, FLHTP, FLHX, FLHXS, FLHTKSE, and FLHRSE motorcycles manufactured May 3, 2013, through October 14, 2013. The clutch master cylinder may allow air into the clutch system. Additionally, the motorcycles may have been assembled with an incorrect clutch release plate. Either condition may prevent the clutch from disengaging.If the clutch does not disengage, the rider may have difficulty slowing or stopping the motorcycle, increasing the risk of a crash. There was a similar recall earlier this year. Harley-Davidson has already notified owners, and dealers will rebuild the clutch master cylinder and install the proper clutch release plate, as necessary, free of charge. The recall began in late October 2013. 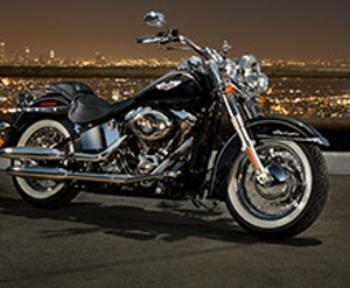 Owners may contact Harley-Davidson at 1-800-258-2464. Harley-Davidson's recall number is 0153. Mercedes-Benz is recalling 130 model year 2013 SL63, SL550, and SL65 vehicles manufactured January 16, 2013, through April 30, 2013. The affected vehicles are equipped with an occupant classification system (OCS) that may not detect a very light person sitting in the front passenger seat, turning off the passenger side air bag. In the event of a crash necessitating side air bag deployment, the passenger would be at an increased risk of injury. Mercedes will notify owners, and dealers will replace the passenger side seat cushion including the OCS. The recall is expected to begin in December 2013. Owners may contact Mercedes at 1-201-573-0600. 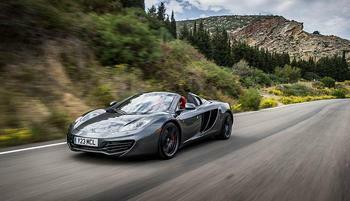 McLaren Automotive is recalling 376 model year 2012-2014 MP4 12-C Spider and Coupe vehicles manufactured October 10, 2011, through October 23, 2013 and originally sold in, or currently registered in, Florida, Georgia, Alabama, Mississippi, Louisiana, and Texas. Due to a combination of high ambient temperatures and humidity, the wiper motor brushes may jam causing the wiper motor to stop working. Non-functioning wipers during inclement weather may be reduce the driver's visibility, increasing the risk of a crash. McLaren will notify will notify owners and dealers will replace the wiper motors, free of charge. Vehicles outside of the recall area will have a lifetime warranty on their wiper motors that fail for this issue. The recall is expected to begin in early December 2013. Owners may contact McLaren at 1-646-429-8916. Cargill's animal nutrition business is recalling two of its Nutrena NatureWise poultry feeds due to incorrect levels of calcium. The affected products were manufactured at Cargill's facilities in Flora, Ill., Oklahoma City, Okla., Abilene, Texas, and Mineola, Texas, between May 1, 2013 and Nov. 21, 2013. The first product was sold in 40 lb. 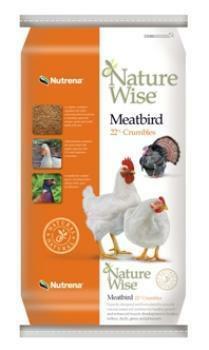 bags under the name NatureWise Meatbird 22% Crumble with the following product codes: 91585-40; and lot code range: FL3121–FL3325. The second product, sold in 40-lb. and 50-lb. Bags, is NatureWise Chick Starter Grower 18% Crumble with the following product codes: 91577 and 91577-40 and lot code range: FL3121–FL3325, AT3121–AT3325, MN3121–MN3325 and OC3121–OC3325. The recall does not include either product sold in 7-lb. bags. Customers should return remaining products to their local dealer or retailer for a full refund or replacement. Consumers may call Cargill at 888-321-8586. Denver Global Products of Lincolnton, N.C., is recalling about 11,000 multi-purpose yard vehicles. The mower blades can detach during use or start without being activated by the operator and the vehicle can move forward unexpectedly, posing a laceration hazard. Also, the fuel lines can leak, posing a fire hazard. The company has received 82 reports of blades detaching, one of which resulted in lacerations and bruising to a bystanders legs, and three reports of mower blades starting without the operator activating them with no reported injuries. There have also been three reports of unintended vehicle movement with no reported injuries and 34 reports of fuel leaking with no reported injuries. The recalled products are Raven multi-purpose yard vehicles manufactured between December 26, 2012 and May 7, 2013. 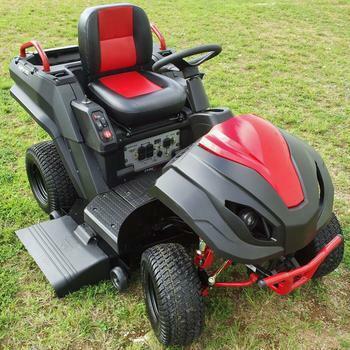 The vehicles are gas-powered four-wheeled vehicles designed to be used as a lawn mower, garden tractor or portable generator. The recalled vehicles have a cargo bed and a detachable 46-inch cutting deck. The vehicles are black with red grab-rails on either side of the rear cargo bed, red center panels on the seat and hood and red front suspension components. The first six digits of the serial number indicate the manufacture date in a MM/DD/YY format. The serial number is on an identification plate attached to the lower right-hand chassis rail near the front wheel. “Denver Global Products Inc.,” “Model # MPV710-001,” “1-888-321-5700” and “www.denverglobal.com” can also be found on the identification plate. The vehicles, manufactured in the U.S., were sold exclusively at Lowe’s Stores nationwide between January 2013, and May 2013, for about $3,000. Consumers should immediately stop using the recalled vehicles. Turn off the key switch and remove the key, apply the parking brake, and remove the green and the yellow fuses from the white plastic fuse holders on the right hand side under the seat. Return the unit to your nearest Lowe’s store for a full refund. The firm is contacting consumers directly. Consumers may contact Denver Global Products toll-free at (888) 321-5700 from 8 a.m. to 5 p.m. ET Monday through Friday. 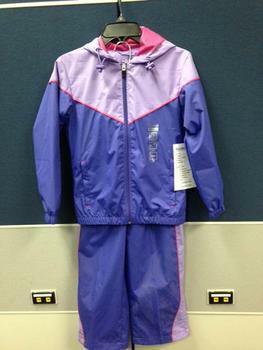 Academy Sports + Outdoors of Katy, Texas, is recalling about 6.600 Girls BCG Hooded Windsuits. The windsuits have drawstrings in the hood around the neck area that pose a strangulation hazard to young children. The SKU and style number are on a label sewn inside the jacket on the left side. The windsuits, manufactured in China, were sold exclusively at Academy Sports + Outdoors stores and on the firm’s website www.academy.com between September 2013, and October 2013, for about $20. Consumers should immediately remove the drawstring from the windsuits to eliminate the hazard, or return the garment to the place of purchase for a full refund. Consumers may contact Academy Sports + Outdoors toll-free at (888) 922-2336, from 8 a.m. to 10 p.m. CT Monday through Saturday and from 9 a.m. to 8 p.m. CT on Sunday. The jackets sold with the set have drawstrings through the hood which pose a strangulation hazard to young children. This recall includes Wearever Girl brand girl’s long sleeve zip-up 100% cotton hooded jackets sold as a set with brown pants. 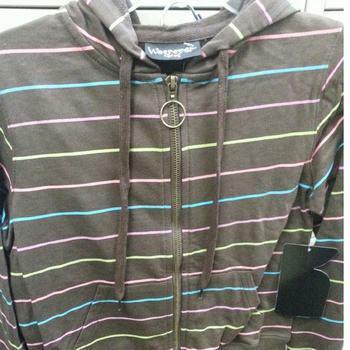 The brown hooded jackets have thin aqua, light pink and light green horizontal stripes and sold in girl’s sizes 7 to 16. There is a brown, flat drawstring around the neck of the jackets. “Wearever Girl” is printed on a label on the back inside neck of the jackets and on the pants. The jackets sets, manufactured in China, were sold exclusively at Burlington Coat Factory in August 2013, for about $10. Consumers should immediately take the jackets away from children and remove the drawstrings to eliminate the hazard. Consumers can also contact David’s Place to obtain a return address label and instructions for returning the garment for a full refund. Consumers may contact David’s Place Off Price Clothing toll-free at (888) 394-1398 from 8:30 a.m. to 5 p.m. PT Monday through Friday or by e-mail at dania@ymijeans.com. L&F International Trade of Beltsville, Md., is recalling about 1,000 mattresses and mattresses with foundations. This recall involves L&F International Trade’s renovated (rebuilt) twin, full, queen and king-size mattresses and mattresses with foundations. The used mattresses were stripped to the springs and rebuilt by L&F International Trade. They have an ivory knit fabric cover with a botanical pattern. The recalled mattresses have a yellow tag with “L&F International Trade Inc., 10726A Tucker St., Beltsville, MD 20705” printed on them. The mattresses, manufactured in the U.S., were sold at Best Buy Furniture, Takoma Park, Md. ; Capital Discount, Washington, D.C.; Carolina Furniture, Hyattsville, Md. ; Easy Buy Furniture, Washington, D.C. and Value Furniture, Bladensburg, Md. from November 2011, through July 2012, for about $100. Consumer should immediately contact L&F International Trade and arrange to have the recalled mattress sets returned and have a compliant rebuilt mattress or mattress set delivered free of charge. Consumers may contact L&F International collect at (301) 595-1062 from 7 a.m. to 3:30 p.m. ET Monday through Friday or by email at LFinternationalinc@gmail.com. 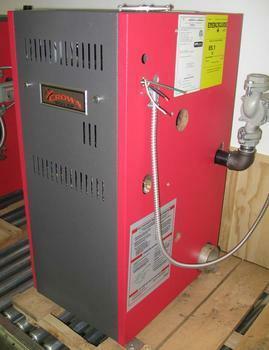 Crown Boiler Company of Philadelphia is recalling about 2,200 gas-fired hot water boilers. This recall involves Crown Boiler CWD series cast iron hot water boilers that use natural gas or liquid petroleum to heat water in home baseboard, floor or radiator heating systems. The boilers are red and gray, about 37 inches tall, about 23 inches deep and range from about 16 to 42 inches wide. The Crown Boiler logo is on the front of the boiler. Recalled boilers have model numbers that begin with CWD and were manufactured between May 1, 2005 and July 1, 2013. The boilers, manufactured in the U.S., were sold at plumbing and heating wholesale distributors nationwide from May 2005 through July 2013 for between $4,000 and $6,700. Consumers may contact Crown Boiler toll-free at (855) 688-0776 from 8 a.m. to 5 p.m. ET, or by e-mail at cap@crownboiler.com. Abbott is recalling 20 lots of FreeStyle and FreeStyle Lite Blood Glucose Test Strips. These lots may produce erroneously low blood glucose results when used with both "FreeStyle Blood Glucose Meter" and "FreeStyle Flash Blood Glucose Meter” [neither of which have been in production since 2010], as well as the OmniPod Insulin Management System. 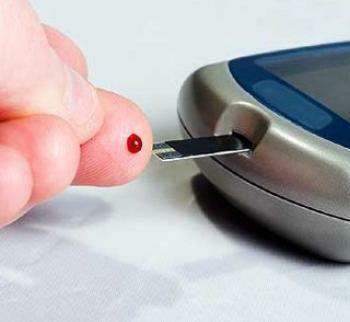 When the test strips are used with the newer FreeStyle brand meters including FreeStyle Freedom Blood Glucose Meter, FreeStyle Lite Blood Glucose Meter and FreeStyle Freedom Lite Blood Glucose Meter, the blood glucose test results are not affected. Testing with the FreeStyle InsuLinx Blood Glucose Meter is not affected by this action, as FreeStyle InsuLinx Blood Glucose Meter uses FreeStyle InsuLinx test strips. The company is notifying healthcare professionals, pharmacies, distributors and customers about the recall. Affected customers should call Abbott's diabetes care customer service at 1-888-736-9869 for a free replacement of the affected test strips. 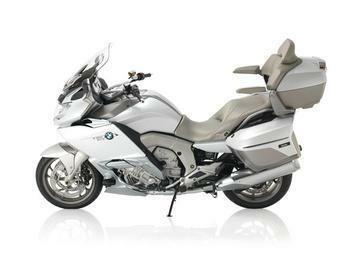 BMW of North America is recalling about 2,475 model year 2012 K1600 GT and K1600 GTL motorcycles. In certain riding conditions, an incorrect throttle valve control signal may be received by the engine control unit, limiting the engine speed. As a result, the engine could stall, increasing the risk of a crash. BMW will notify owners, and dealers will update the throttle control software, free of charge. The safety recall is expected to begin in December 2013. Owners may contact BMW customer relations at 1-800-525-7417 or by email at CustomerRelations@bmwusa.com. 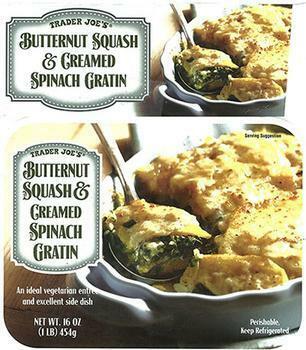 Huxtable’s Kitchen of Vernon, Calif., is recalling one specific lot of Trader Joe’s Butternut Squash & Creamed Spinach Gratin (SKU 96541) sold in the refrigerated section with “Use By 12/13/13” date. The product contains wheat and egg, allergens that may not be listed on the label. The recall affects only Trader Joe’s Butternut Squash & Creamed Spinach Gratin bearing the “USE BY 12/13/13” date packaged in 16 oz. tray with a sleeve. The Use By date is printed on the side of the sleeve. The 3270 trays possibly affected were distributed to Trader Joe’s stores located in Southern California, Utah, Southern Nevada and Texas. No other lots, products or stores are affected. The same product bearing the “USE BY 12/13/13” date sold in other regions is NOT affected. Customers who have purchased the recalled product may return it to Trader Joe’s for a full refund. Consumers with questions may contact Huxtable’s Kitchen, Inc. at 323-923-2888 from 8 AM-4:30 PM PST, Monday-Friday.